We do battle with the ants in the winter. The colder and snowier it is, the bigger the problem. As far as we can figure things out, they have an underground nest next to our basement wall where the furnace is, and the warmth draws them into the house. Pesky Ants! And so once again as our temperatures here in Michigan dipped down into the single digits last week, the invasion began. They’re the teeny tiny ants and the first place we spot them is always around our fireplace hearth. In years past we’ve always relied on D-Con Ant Killer. And this year I might have done the same thing – except I looked all around the house and couldn’t find it! BUT – what a blessing in disguise that turned out to be because I discovered a natural remedy that works just as well, maybe even better! Yeah, the room smelled a bit peppermint-y. But it was actually quite pleasant and was a HUGE improvement over the smell of a commercial ant killer spray. So how did it work? Pretty darn awesome. I didn’t see any ants until a few days later when I spotted just a couple random ones hanging about. So I repeated the peppermint oil treatment again and that seemed to do the trick. So far, I’m VERY HAPPY with this new method and I’m willing to repeat it every few days if that’s what works. 1. Other Essential Oils. I chose the peppermint oil, but if you have another fragrant essential oil, give it a try. The scents make it hard for the ants to follow their trails, and the smells may be unpleasant to them too. 2. Cinnamon. Cinnamon is said to be one of the scents that repels ants. Try sprinkling some ground cinnamon around the area where you want to keep ants away. 3. Black Pepper, Cayenne Pepper, or Chili Pepper. These strong smells can also discourage ants from coming around and can be sprinkled in the area where the ants are a problem. 4. Vinegar. Here’s another strong smell that ants hate and that will remove the smell of their trails. You can put some vinegar on a cotton ball and wipe it around, or if you are using vinegar and water as an all purpose cleaner, spray some around the area where you want to discourage the ants. 5. Chalk or Baby Powder. You can also try making a barrier with chalk or baby powder which naturally repel ants. 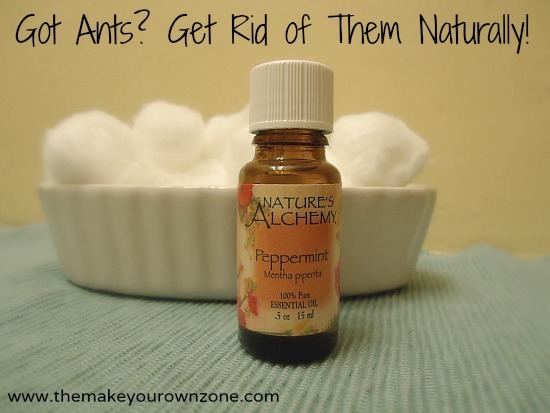 I’m pretty jazzed about my new peppermint oil discovery and would love to hear if anyone else has a favorite natural home remedy for getting rid of pesky ants. Please share with a comment if you do! Search for where the ants are coming in and seal it up with caulk. If they can’t get in they will go some where else. Lysol spray also works pretty good…kills and disinfects….if you have pets and don’t want them to get your ant killer bait traps put the traps in the cheap 99¢ store plastic containers with a lid and make a small slit in it so the ants can get to the bait. Preferably put the bait out of reach of children and pets. 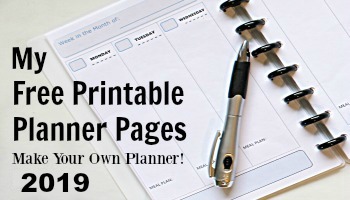 I’ve used this method for not only pizzants but palmettos too! It seems like I must have tried everything for those mini black ants(almost microscopic): corn meal; cinnamon; vinegar; bleach; etc., but cayenne pepper did it! It does not kill! They will find another way in, though! You almost have to spread it wherever there is an opening in the vicinity before they find another way in. They are very hard to kill and very, very determined! Hi I am having a terrible time with these tiny little ants..I rent and the landlord tells me to get this stuff that they go into and that should take care of it..I went to Lowes and bought this HOt Shot Liquid Ant Bait..the lady that sold it to me told me that she personally had a terrible problem with the when they were adding on to their homes..100’s of them were coming in and within two hours of putting them down..gone..I also sprinkled ant granules outside the perimeter where I live..this morning they are still crawling around .. inside my drawers and even the disherwasher..I have been using industrial strength spray that the exterminators use..but they still come back..I am so fed up..I just sprayed some peppermint oil diluted in water on the counters but the thing is to kill the nest or nests and I have no idea where that is..I feel like I feel like I cannot even function in my kitchen anymore..I keep most foods in the refrigerator..first I saw them under the cooktop .. I have separate burners from the oven..sprayed and them seemed gone..went to the other side..and now see them crawling back again..I really don’t know what to do at this point..not sure I should even run my disherwasher at this point..if that is going to attract them..the heat in NC is awful..could that be driving them in? I have lived here for over four years and never had this before. Landlord should be dealing with this problem not you!!!! I did not know ants were not fond of cinnamon, I just sprinkled some where I suspect where they are entering…fingers crossed ! I will try peppermint oil as well because I heard it works for spiders as well and they have been an issue for me. Thank you !! You ever tried corn starch? How about peanut butter and borax? Either of these will kill the ants off. It keeps our doomsday bunker ant free. Burning fresh herbs in your fireplace also works well. The peanut butter and borax should be kept away from pets though. I’ve been having problems with ants crawling in my cupboards, and I realized mint leaves also work! I didnt have any peppermint oil, but I had some bags of dried mint leaves (the kind for making tea). The ants still invade the kitchen but at least they are just on the floor now. We have those tiny ants in the couch! Peppermint oil think like it would work the best as far as the mail goes, however how would I do this with the fabric? Even leaving a cotton ball in the cushions seems like it would be absorbed by the fabric. Any suggestions are appreciated. Oh that must be super frustrating to have ants find their way into the couch. Perhaps you could set the cotton ball (with peppermint oil on it) on a dish, and then set that on the couch. Put the cotton wool ball into a plain sandwich bag but don’t seal it. You can this pop it in the couch and every time you sit down on it, it will expel the air and smell into the couch and so keep the ant away but the essential oil wont leak into the couches material. So excited about peppermint spray for ants & spiders thanks! In case anyone was looking to rid their house of carpenter ants- they apparently hate corn meal (do not confuse with cornstarch). I put a little dish of it on my kitchen counter and voila… no more ants! PS> this does NOT work for the mini ants… Just the large black ants. Thanks for the info about the little ants. I tried cornmeal for them and it didn’t work. LOL. Do you know WHY it works for the big ones? Sorry, I don’t know Judi . . . but I’m glad it’s at least working on the big ones! Works for fire ants, too, just not the mini black ants. Used honey and corn meal(sprinkling some meal on top) mixed well for fire ants and it can a while depending on the size of the invasion(bigger invasion probably means a bigger ant hill). But, they take it back and they won’t be back! I have used the peppermint solution in the past, with varying degrees of success. If you have hardwood floors, it is important to be careful, as it will strip off the varnish. Thanks for the other ideas. I’ll give them a try. this idea also works for mice too. we just put the cotton balls all over the kitchen and where ever the nest maybe i have even found them in my dresser before after returning from vacation. Thanks for sharing that recipe Lois! This is the first winter we have had the tiny ants “pizz ants” they are HORRIBLE around our stove !! It seemed very unusual to have ants during the winter but since I read this post it made more since about the warmth & since our kitchen is on the center of our home that has to be the reason! I am going to try this !! Thanks for sharing !! I also use the vinegar/water spritzing to erase ants’ trails. But even more effective is baking soda/bicarbonate soda. We had an army of ants coming through the brickwork near the front door. I sprinkled some baking soda all along the ants’ paths, especially the cracks and holes. Gone were the ants! And the spiders didn’t like it either. That’s good to know that baking soda can be so effective! It would save a lot of money too. Using oils works on ants and other insects not because of the smell, but because it dissolves the waxy cuticle on their bodies, causing them to die nearly-instantly from dehydration. Commercial orange oil sprays are recommended for ants for this reason and are 100% pet/child safe since it is just a food-derived oil. Vinegar works for us only to kill the ones around. I’ve never found it to be effective in preventing their return. I’ve tried so many things for ants! I mixed aspartame with honey, hoping they’d carry it back to the queen and kill the colony, no avail. I have to keep the honey standing in water. Our pesky ants are so small that they can get in a tightly closed jar of honey by walking around the screw top rings. One thing we’ve found effective is to line the base of the house with diatomaceous earth in the spring. DE is safe for pets and people, although you do not want to breathe in the powder or get it in your eyes. It is razor sharp to bugs (vets use it internally for pets for worms). They can’t build an immunity to it. I’ll have to remember peppermint next spring when we begin to have problems again (no winter ants here). Thanks, Bev. Sugar mixed with borax is a great way to kill a colony. Use it outside the home and they will carry the borax back confusing it with sugar. Just dont forget to use the food grade Diatomaceous Earth.. not the pool one. Good to know this oil works for ants too. I use it as a spray with water in all my windows to keep spiders out. It works well. I spritz all the way around my back door -outside- with a vinegar/water mix in early spring every few days for about a month. I haven’t had ants come inside in several summers. I’m going to remember this for help with spiders! Thanks! Good to know the vinegar works. I hadn’t tried that one yet but suspected the smell would do the trick. Thanks for sharing! the ants – many thanks.